Jean Kalicki is an independent arbitrator in New York and Washington, DC, specializing in investor-State, international and complex commercial disputes. 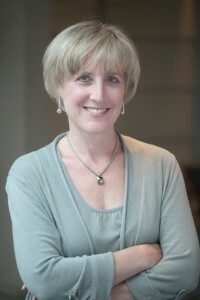 Until April 2016, she was a Partner at Arnold & Porter LLP, serving as counsel in a wide range of high-stakes international disputes. Over more than 25 years, she has conducted arbitrations involving six continents, across a wide range of industries and disputed issues, addressing issues of public international law and the laws of dozens of different countries. Ms. Kalicki is a Vice President of the Court of the London Court of International Arbitration (LCIA), and a member of the American Arbitration Association (AAA) Council and previously its Board of Directors, the International Chamber of Commerce (ICC) Commission on Arbitration and the Board of Directors of SICANA, Inc. (ICC North America), and the Governing Board of the International Council for Commercial Arbitration (ICCA). She is listed on the Panel of Arbitrators of the International Centre for Settlement of Investment Disputes (ICSID) and many other institutions around the world. She is a Fellow of the Chartered Institute of Arbitrators (FCIArb) and of the College of Commercial Arbitrators (CCA) and taught arbitration and advocacy for many years as an adjunct professor at both Georgetown University Law Center and American University Washington College of Law. Ms. Kalicki was selected as Global Arbitration Review‘s “Best Prepared/Most Responsive Arbitrator” for 2017, and one of Law360‘s “Five Most Influential Female International Arbitrators” for 2016. She is among Chambers’ Band 1 (“Most In-Demand”) Arbitrators for Global, USA and Public International Law (2017-2019), and Best Lawyers‘ “Lawyer of the Year” for International Arbitration-Governmental in New York (2017 and 2019) and Washington DC (2016). Additional information about her education and background, experience as arbitrator and counsel, rankings and recognition, professional activities, and publications and presentations is available through the links on the left and in the downloadable CV.